I just read an article published on July 13, 2012 about the multitude of personal care products women use and their link to diabetes. The article, Chemicals in Personal Care Products May Increase Risk of Diabetes, lets us know that phthalates interfere with our endocrine system. Typical personal care product culprits cited are: moisturizers, nail polish, soaps, hair sprays, and perfumes. 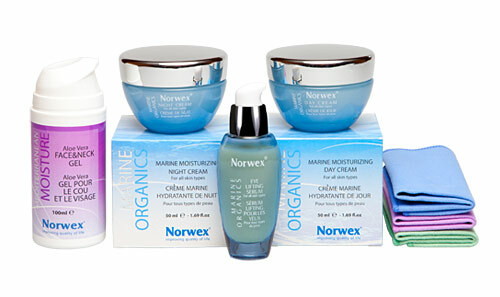 Again, I am glad to offer you the Norwex Organic Products as an alternative to what is on the store shelves. 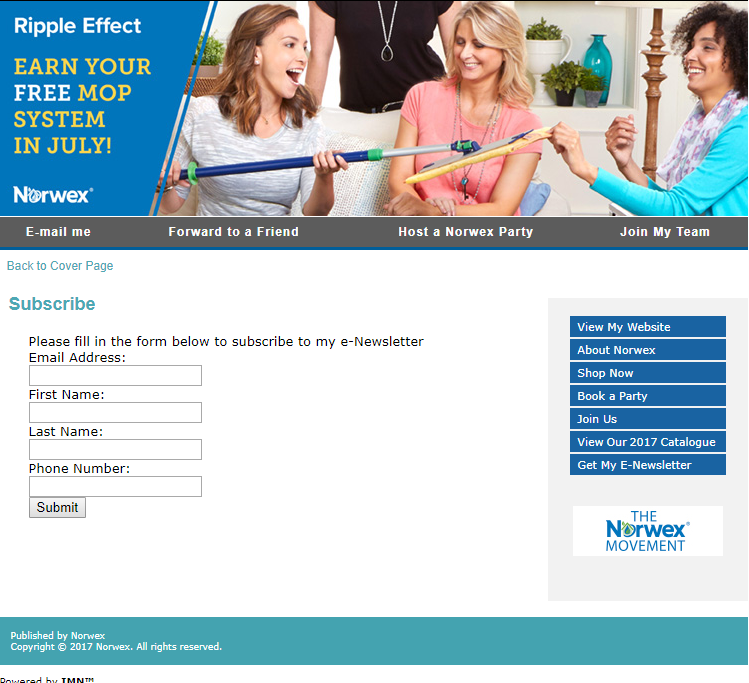 Wow, I just came across a petition that makes me thankful for Norwex Ultra Power Plus Laundry Detergent! 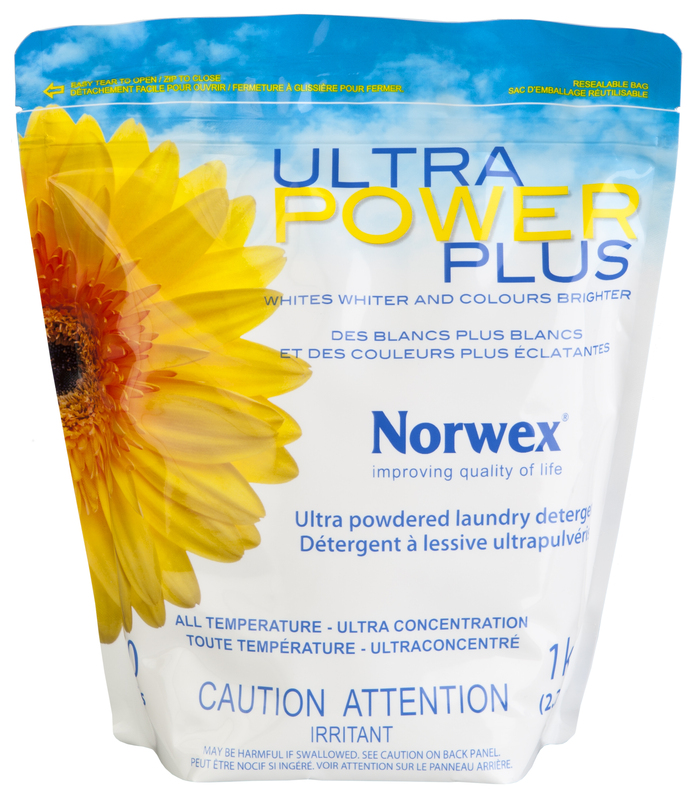 Thankfully Norwex Ultra Power Plus Laundry Detergent does not contain 1,4-dioxane. I just want you to be healthy! There seems to be a lot of people I know struggling with strep throat in my town lately. I want you to be healthy! I’m just trying to get it out there that the Norwex Antibac Envirocloth will not only pick up the germ responsible for strep off surfaces but it will also kill it in the cloth without turning it into a resistant mutated form. 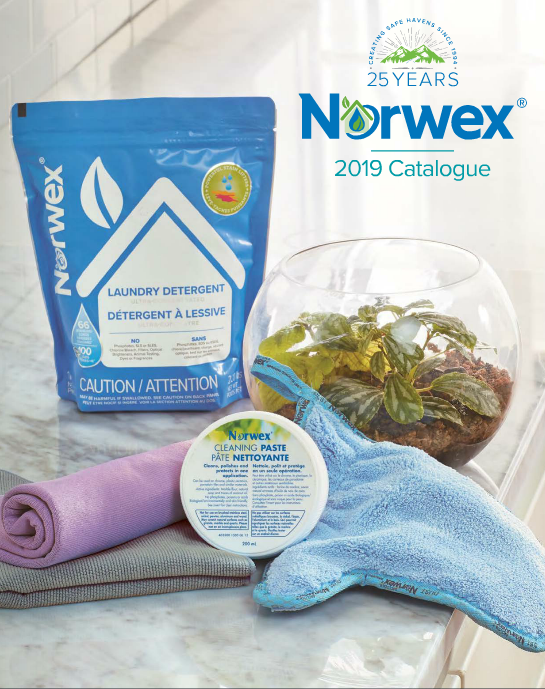 Let me know if you want to buy a Norwex Envirocloth. Hope you feel better soon. I just read an article about the ingredients found in the Brand Name cleaners we’ve all used at one time or another. The article states that they did some independent tests and found a bunch of bad things in these Brand Name cleaners. from the Women’s Voices for the Earth website. Triclosan, the ingredient in antibacterial soap is back in the news. Check out this article by The Globe and Mail – Ottawa to review safety of key ingredient in anti-bacterial soap. Triclosan is suspected to interfere with thyroid function. The good news from the article is that Canada is leading the way with the Chemical Management Plan. My absolute favorite is the Norwex Body Wash which unfortunately was omitted from this year’s catalogue. I also love the Day Cream, Night Cream, and the Face & Neck Gel. 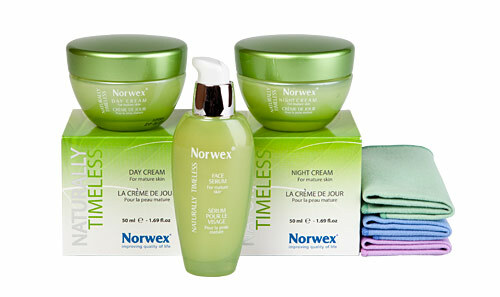 Check out all the other Organic Personal Care Products Norwex has to offer. I used to believe that if it was on the shelf for sale, then it was safe – that someone had done the due diligence and tested the product and that there were laws protecting us. The truth is that our laws in this area are old and that they only test for first-aid type hazards, not long term use type safety. Even if they started to do testing, we’re so far behind that it would take a very long time to catch up. We’ve created over 80,000 man-made chemicals not to mention the yearly parade of “New and Improved”. I wanted to show a few of the cleaning chemicals that are commonly marketed to us but aren’t as innocent as we thought. The great information below is quoted directly from the website of The Environmental Health Association of Nova Scotia. Cleaners may contain ammonia, a strong irritant which can also cause kidney and liver damage, butyl cellusolve which is neurotoxic and rapidly penetrates skin, and ortho phenylphenol which is a severe eye and skin irritant. Many all-purpose cleaners contain DEA and TEA which can react with nitrites (added as undisclosed preservatives or present as contaminants) to form carcinogenic nitrosomines which readily penetrate the skin. Many coloured products are made with carcinogenic coal tar colours. Hormone disrupting parabens may be used as preservatives. Many cleaners also include fragrances and detergents. Alternative brands may contain d-limonene, a sensitizer which can also cause respiratory distress as well as liver, kidney and nervous system damage. D-limonene is a hazardous substance, although it is derived from a natural source. We do not recommend it for frequent use. Most glass cleaners are made of ammonia, a strong irritant, and coal tar dyes. Some contain butyl cellusolve, a neurotoxin, alchohol, naphtha, and glycol ethers. Some contain wax. Aerosol products create small particles which are more likely to be inhaled or irritate eyes. The main ingredient in chlorine bleach is sodium hypochlorite (chlorine added to lye.) Chlorine is toxic as a skin irritant, and by inhalation. Sodium hypochlorite can create poisonous chlorine gas if mixed with ammonia (which may be an unlabeled ingredient in some cleaning products) or with vinegar. Workplace safety data sheets warn that sodium hypochlorite may be a neurotoxin and cause liver damage. People with chemical sensitivies report adverse reactions to minute quantities of chlorine. Sodium hypochlorite readily combines with organic matter to form organochlorines which are highly toxic to aquatic life. Sink, tub and tile cleaners can contain ammonia and dimethyl ethylbenzylamonium choride, both strong irritants, ethylene glycol, a neurotoxin and reproductive toxin which may also cause kidney and liver damage, sodium orth-phenylpenol, a carcinogen and irritant, and trisodium nitrilotriacetate, a carcinogen. Some brands use highly caustic chemicals like sodium hydroxide, sodium hypochlorite (bleach) and phosphoric acid that can burn eyes and skin. Breathing vapours can burn lungs. I didn’t want to make this an incredibly long post but I hope I’ve put enough to get you thinking about what you use to clean your home, office, and schools. 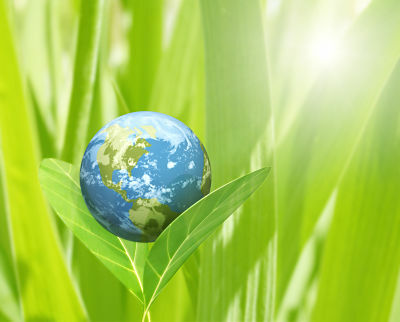 I’m happy to be able to offer you solutions that are green, environmentally friendly, natural, alternative and responsible. I recently read an article “Are Chemicals Contributing to Autism rise?” The main points of the article are that (A) cleaning chemicals affect hormones and (B) hormones affect brain development and the immune system and (C) autism is about brain development and autistic children also displays immune problems. The Environmental Health Association of Nova Scotia has a wonderful website about the chemical hazards in personal care products and household cleaning products. Some of the chemical hazards identified in these products are a huge wake up call for us all. Here is a summary list from their website of chemical hazards found in personal care and household products. I am so pleased to be able offer you safer cleaning solutions to reduce your risk of chemical hazards. Do you know what's in your cleaning products? MSNBC.com posted this great video: Do you know what’s in your cleaning products? “There are about 9,000 chemicals on the market today that have not been fully tested for safety,” said Urvashi Rangan, senior scientist at Consumers Union. Here, at safercleaning.ca, I’m so pleased to be able to offer you chemical-free cleaning that works! Oil, butter, and even grease are easy to clean with just water and Norwex® microfiber products. It truly is amazing.